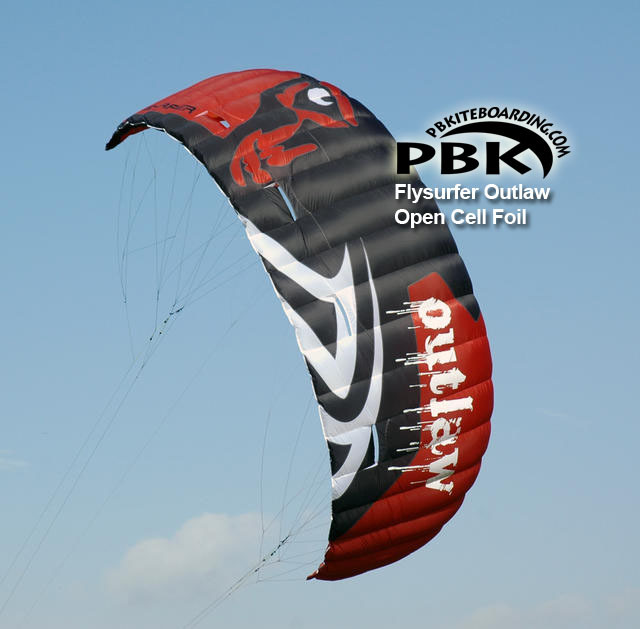 bringing 3 new innovations in open-celled kite design to the market! 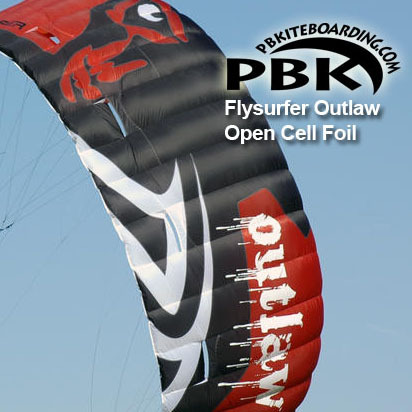 Optimized and thin profiles combined with our Jet-Flap Technology creates a kite which hardly has any backstall, meaning insane pop for its rider combined with a serious portion of lift. 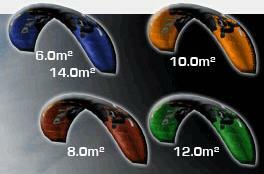 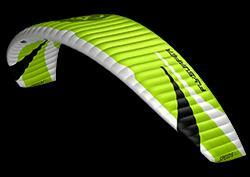 even up to 50% lighter than any other kite! 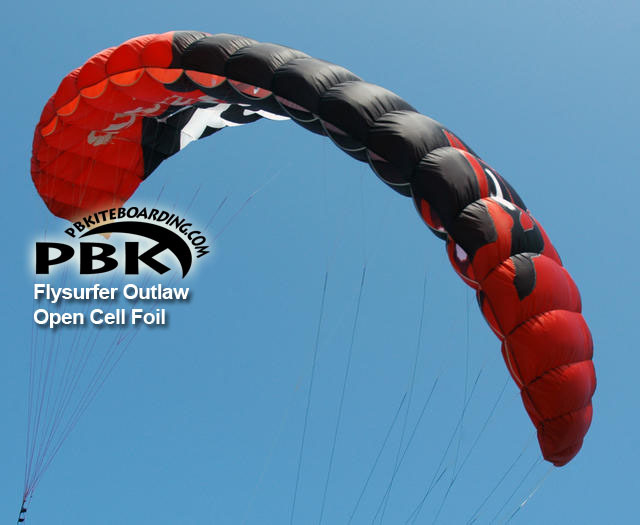 The OUTLAW comes standard with the Front Line Safety and included you will find a Backstall-Line for the OUTLAW bar to activate the Back Stall Safety (BSS), which is preferred by many snow- and landkite users. 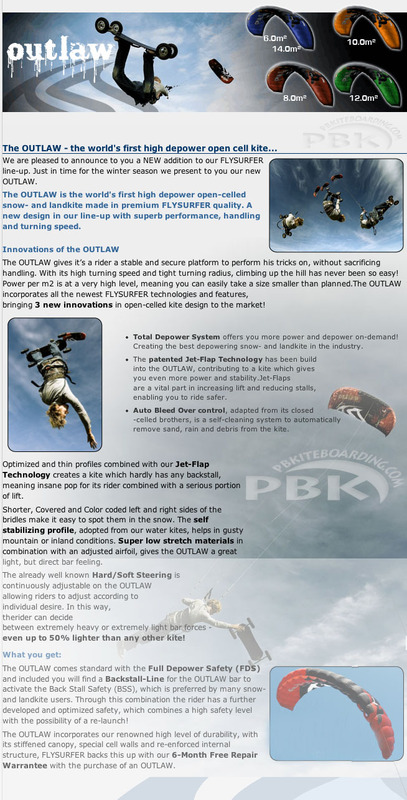 Through this combination the rider has a further developed and optimized safety, which combines a high safety level with the possibility of a re-launch!